Heiman smart door sensor adopts standard Zigbee ZHA or Z-WAVE protocol. This product is an indoor combustion gas detector with high stability , hereinafter called detector, used for combustion gas leak detection. This heat detector offers fixed temperature or combination rate-of-rise and fixed temperature detection, suitable to any household or commercial applications. 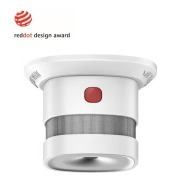 The product is a wall-mounted passive infrared detector with high stability. Heiman smart gas detector adopts standard Zigbee ZHA or Z-WAVE protocol, uses AC Power 110V-240V, high stability semi-conductor sensor adopted, can be used as a repeater in smart home system.